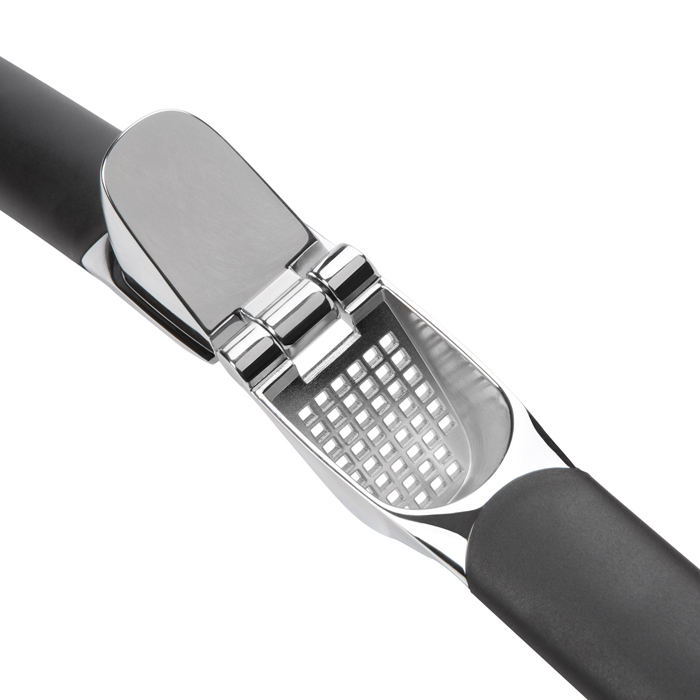 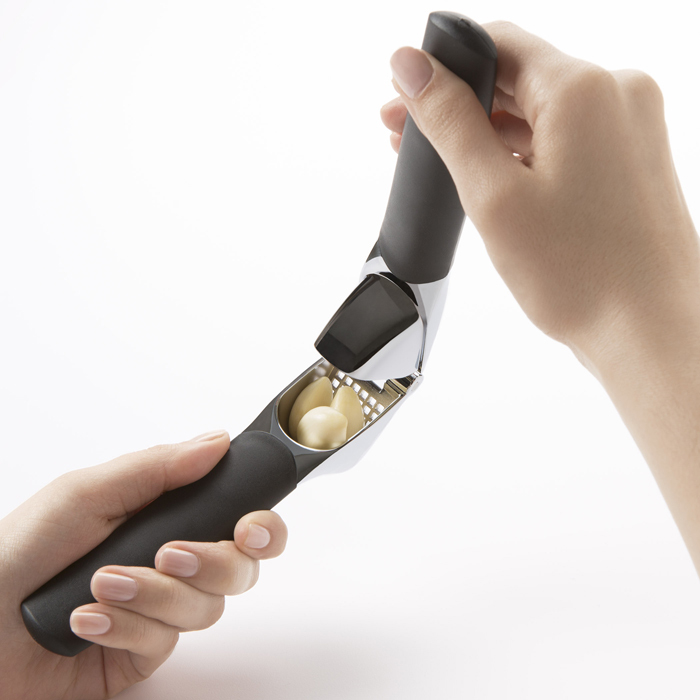 The new, improved OXO Good Grips Garlic Press is now even stronger than ever. 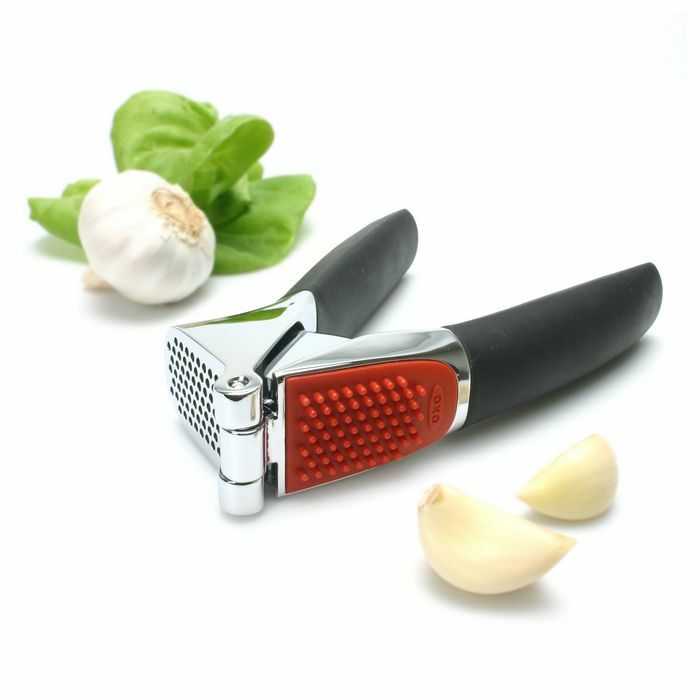 With sturdy, die-cast zinc construction and a large capacity garlic chamber, the Garlic Press crushes garlic with a simple squeeze. 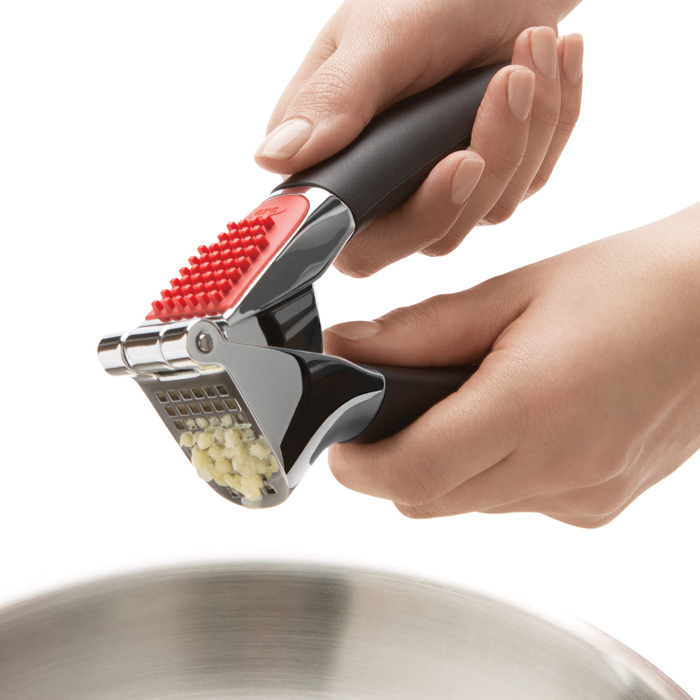 A built-in cleaner allows for easy cleaning; just flip the handles over to clean out excess garlic. 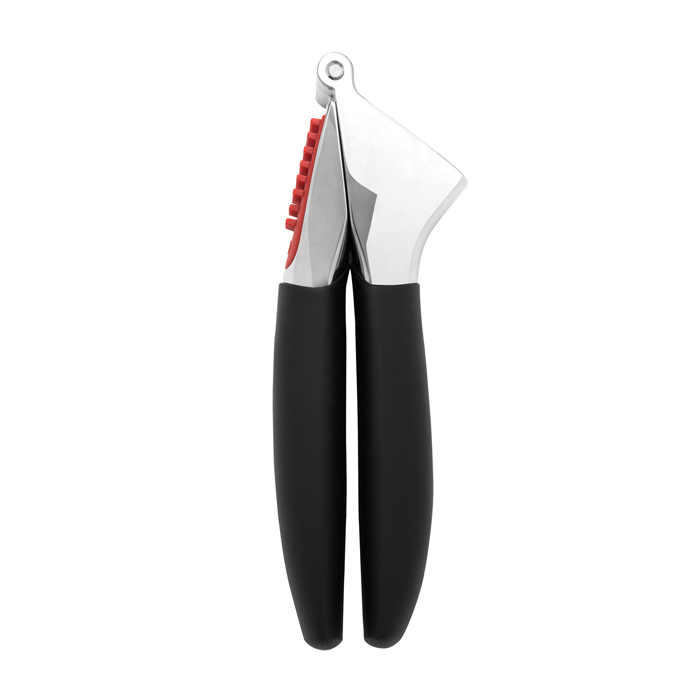 The soft handles are slightly arched for comfort and absorb pressure while you squeeze.